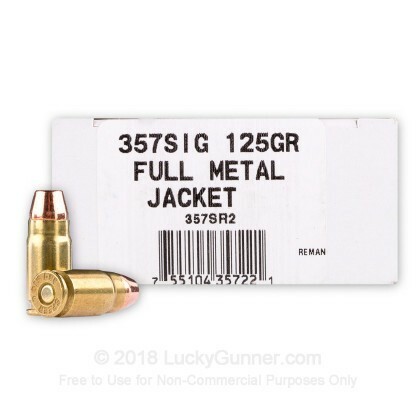 This 357 SIG round is high quality remanufactured ammo by Ultramax, and is brass-cased, boxer-primed, non-corrosive and reloadable. It's a solid option for a serious day at the range or for plinking around in your backyard. 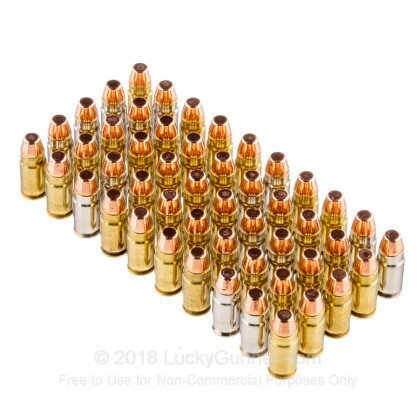 Ultramax has been around since 1986 and they follow a rigorous 10-Step Quality Assurance System for both new and remanufactured ammo to ensure they are always producing the best round they can. This Quality Assurance System has earned Ultramax a loyal following of hunters and range shooters alike. All ammo is loaded to SAAMI specifications and is visually inspected before it leaves the building. 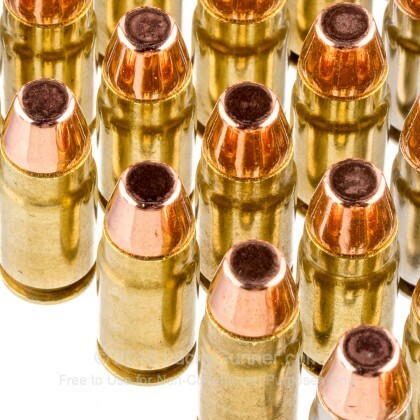 Ultramax remanufactured ammo sometimes has mixed (nickel-plated) brass. 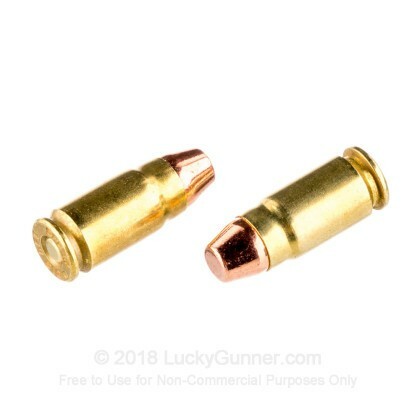 Consider it a free upgrade and a chance to own and fire quality nickel-plated brass at the same cost as standard brass. 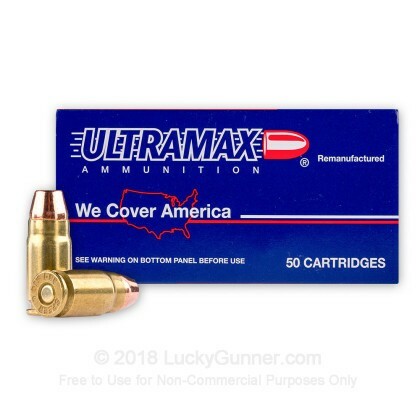 We don't have any reviews yet for this particular .357 Sig ammo from Ultramax. 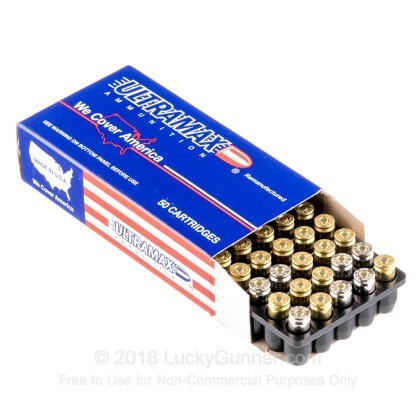 If you'd like to be the first to review this particular .357 Sig ammo from Ultramax, fill out the form below.